We have always known that girls love the security and fun of a limousine to get to and from a big night out. 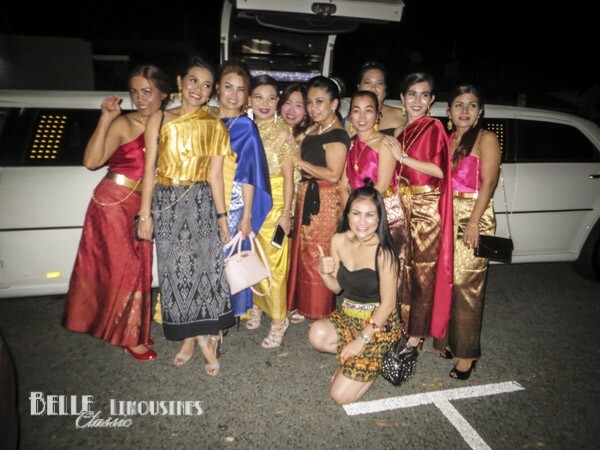 Si organised our Chrysler jet door limousine for her friend’s birthday celebration and the group looked fabulous in traditional Thai dress as they arrived at Crown Casino to party the night away. 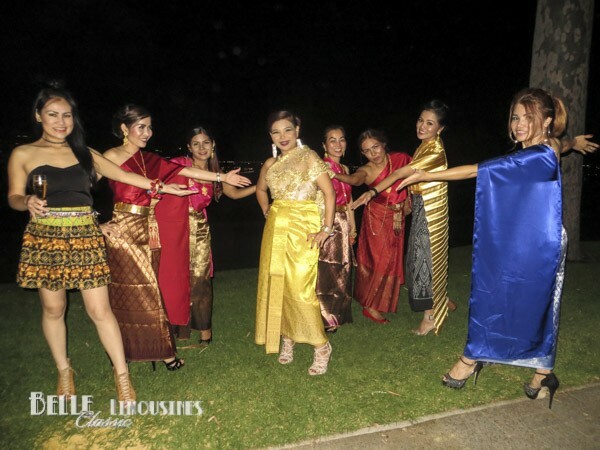 The girls enjoyed a cruise to Burswood sipping champagne and singing songs along the way with a photo stop over in Kings Park to catch some memories of the night. Belle are noted as a great value wedding transport business. If you are heading out for an evening you may not have realised we do great deals for restaurant and special occasion transfers. Our range of vintage and Chrysler limousines can accommodate any group in style. Contact us now to set up your next night out. Note a convenient time and day of the week for a call from the office if you would like to discuss your transport needs. Ensure you include a hire date to check availability. How can we help you? Please include details of the locations involved, preferred limos and hire times if you want a detailed quote. How did you find our business?